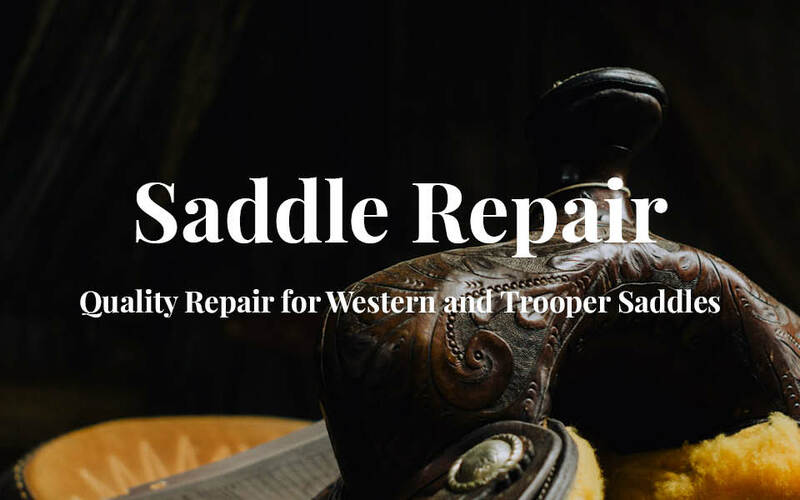 Quality Repair for Western and Trooper Saddles. There’s a special bond between a horse and its rider, and the saddle isn’t just an accessory; it fuses the two together. A good saddle is tough, dependable, and it’s easy on both you and your horse. It takes a while to find that perfect saddle, and replacing it hurts. That’s why I specialize in saddle repair. I’ve been breathing new life into old broken down saddles for most of my life. I focus on repairing Trooper and Western saddles, but I try not to draw the line there. If you have another kind of saddle issue, let me know. Fill out the form below and let me know how I can help. I’ll get back to you soon with a custom quote.